2019-20 Season passes are now available! Save money by purchasing next year’s pass now. Each Vermont ski area has its own unique passes. Check out all of the 2019-20 season pass options below. New Uphill Travel Policy - For the 2019-20 ski and ride season, Bolton Valley has updated their uphill travel policy. Backcountry and uphill access will require a pass before, during and after normal operating hours. More information on Bolton’s updated uphill travel policy can be found at https://skivermont.com/backcountry-and-uphill-travel-info-and-policies. The Ski Bum Pass - The Ski Bum All Access Pass is for anyone ages 18-25. Full time college students outside of this age range are also eligible. Through Oct. 31 the Ski Bum Pass goes for $189. For pricing and information on all season pass options visit https://www.boltonvalley.com/tickets-passes-rentals/seasons-passes. 2019-20 Season Pass - When you purchase a 2019-20 season pass before May 15 you can save up to $155. You can find all of the benefits included in your 2019-20 season pass purchase at https://www.bromley.com/winter/tickets-passes/season-passes/. 2019-20 Season Pass - Burke season passes are now available at tier 1 pricing. Purchase your 2019-20 pass for $619 before May 13, 2019. The Judge Pass - Burke is again offering the Judge Pass – Burke and Jay Peak Combo pass. For pricing and information on all season pass options visit https://skiburke.com/skiing-and-riding/tickets-and-passes/season-passes/. 2019-20 Season Pass - To purchase a 2019-20 season pass visit https://cochranskiarea.com/tickets-passes/passes/. 2019-20 Season Pass - Jay Peak 2019-20 season passes are now available online. 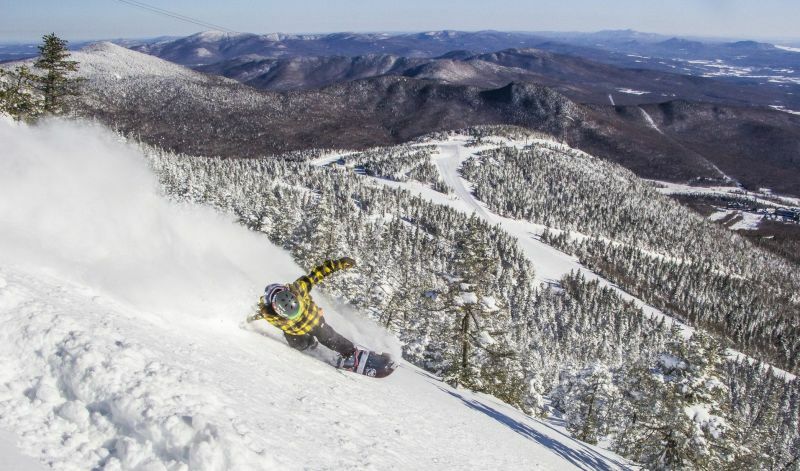 The Judge Pass – Burke and Jay Peak Combo pass is available once again. Visit https://jaypeakresort.com/skiing-riding/tickets-passes/201920-season-passes for pricing and information on all season pass options. 2019-20 Unlimited Pass - You can’t ski all season if you don’t start in the fall. The Unlimited Pass is valid every day of the season and offers sweet perks, too. Visit Killington during the summer too? Consider the Beast 365 Pass for year-round access and the best perks available on a season pass. Purchase before June 13, 2019 for the best price and to take advantage of our payment plan which allows you to pay 1/3 of the cost of the pass at time of purchase with the remaining 1/3's automatically charged August and October 1st. The payment plan is subject to a 2% fee. Visit Killington.com for all season pass options. 2019-20 Season Pass - For the first time in MRG’s history we are selling season passes in the spring. Save big and buy your 2019-20 Season Pass today at MadRiverGlen.com/2020-passes/. The College Student Pass - Ski Mad River Glen or get the whole Mad River Valley with your chance to ski Sugarbush Mt. Ellen, Lincoln Peak and Mad River Glen. Choose from the Joint College Pass (MRG & Sugarbush w/ no blackout dates and the MRG Only College pass w/ no blackout dates). Visit MadRiverGlen.com for all season pass options. 20's Midweek Pass - Skiers age 19 to 29 (age as of November 1) get a break as they get established in the real world. Valid Monday through Friday all season with no holiday blackouts! 2019-20 Season Pass - Passes go on Early Bird Sale April 1st and the savings versus in-season rates will be huge! Magic has tons of options on season passes available for everyone! Check out all season pass options at MagicMtn.com/passes-cards/. 2019-20 Season Pass - Passes are on sale now. Purchase before Nov. 30 for serious savings. You can purchase your 2019-20 season pass online at MiddleburySnowBowl.com/tickets-passes/ . 2019-20 Season Pass - Mount Snow is part of the Peak Pass partnership, offering a variety of season pass options. 2019-20 season passes are on sale now. Check out all season pass options at MountSnow.com. 2019-20 Season passes are available. Visit NortheastSlopes.org for details. Epic Passes are on sale now. Choose between the full Epic pass and the Okemo Epic local pass at Okemo.com. 2019-20 Season Pass - Pay in full or purchase on the payment plan today and ski or ride FREE for the remainder of Pico's 2018/19 winter season! Purchase before June 13, 2019 for the best price and to take advantage of the payment plan allowing you to put 1/3 of the cost down at time of purchase with the remaining 1/3's due August 1 and October 1. Visit PicoMtn.com for season pass options. 2019-20 Season passes are now on sale at Smuggs.com. Epic Passes are on sale now. Choose between the full Epic pass and the Stowe Epic local pass at Stowe.com. Stratton Select Pass - Your pass to ski and ride Stratton all season with only 10 Blackout dates. Ikon Pass - Unlimited access to Stratton plus ski and ride the most iconic destinations on the planet. Find all of Stratton's season pass options at Stratton.com. 2019-20 Season Pass - Ski for free this spring with the purchase of your 2019-20 Sugarbush season pass. All season pass info can be found at Sugarbush.com. Suicide Six is closed for the season, however you can purchase your 2019-20 season pass at Suicide6.com. For individual and day lift ticket sales visit the Ski Vermont Buy Tickets page.